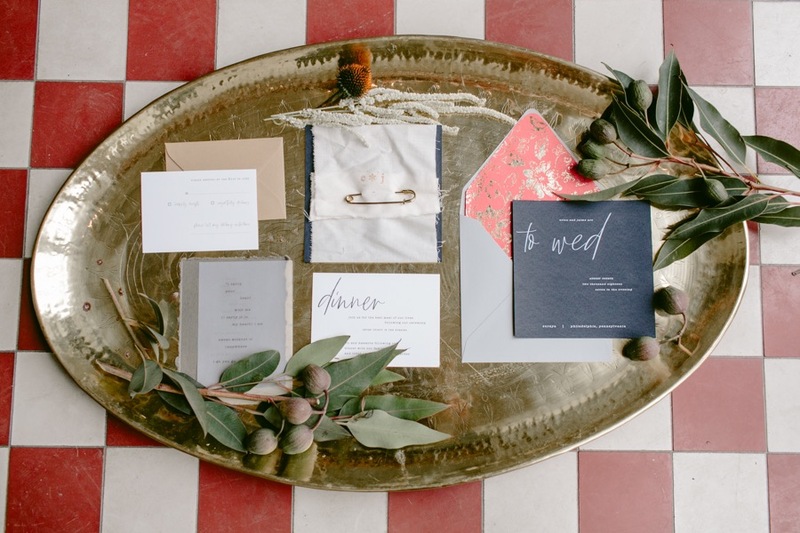 Ready to See What a Suraya Wedding Could Look Like? 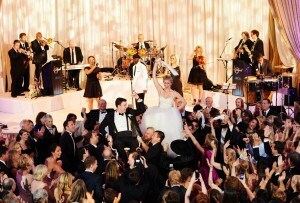 Ready to See What a Wedding at Suraya Could Look Like? Our Best New Restaurant winner is the perfect setting for your intimate I Dos. 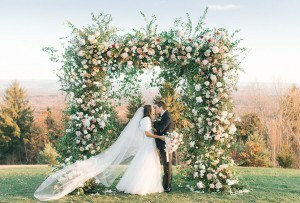 By Sarah Zlotnick·	 9/20/2018, 9:36 a.m.
With a third restaurant renaissance leaving us with some of our best food yet and national mags like Travel & Leisure rightfully taking notice, it’s no wonder Philly is an excellent town for hosting your wedding at a restaurant. 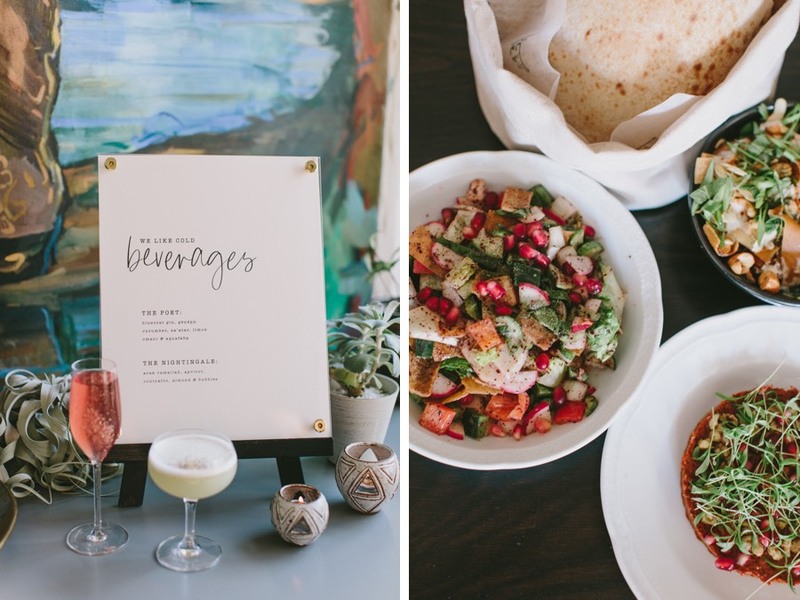 And if you’re going to have a food-focused wedding, why not make sure the food is some of the most buzzed-about cuisine in the city right now? Why not, in fact, have it at the very eatery we crowned as “Best New Restaurant” in our annual Best of Philly issue? That’s right — we’re talking about Suraya. 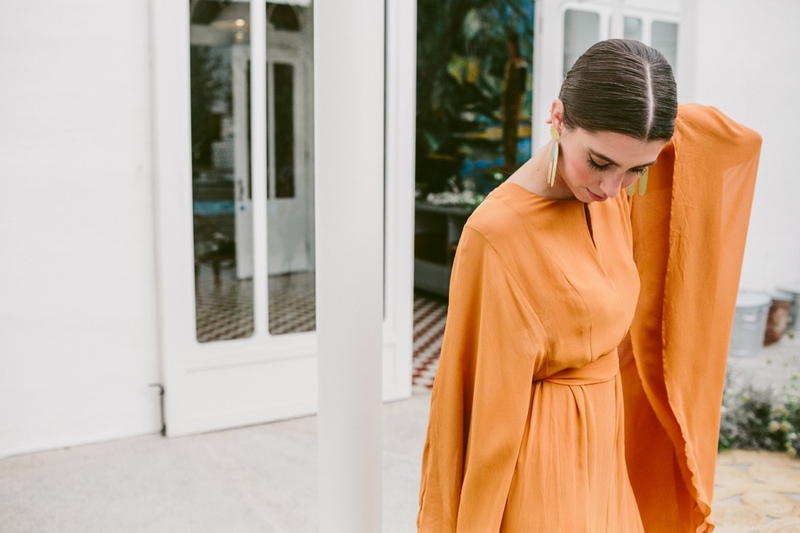 Though we haven’t seen photos from a full-blown wedding there yet, Clover Event Co. partnered up with photographer Kelly Giarrocco to dream up a delightfully stylish Suraya wedding inspiration shoot. 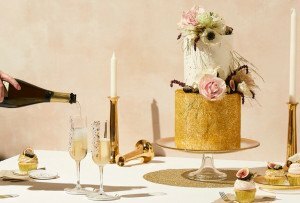 Take a look in the photos below, or head over to our wedding vendor directory to find wedding pros for your own Big Day. 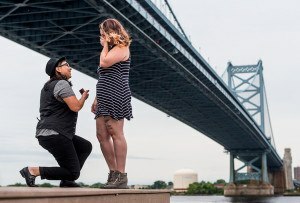 From Clover Event Co: For our Suraya wedding shoot, we worked with Kelly Giarrocco to show Philly couples an alternative way to tie the knot right in their own neighborhood. 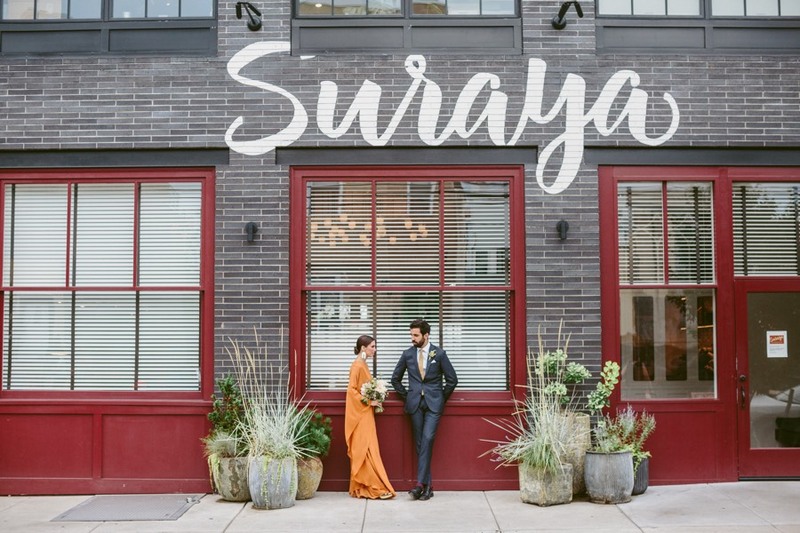 Restaurant weddings are a perfect option for an intimate celebration, and with its mosaic tiling, charming solarium, and brand new open-air patio, Suraya makes for one seriously soigné option. What we love about Suraya is that it sets a clear tone. Inside, you’ll find spice-red mosaic tiling, bold natural pigments of indigo and cypress teal with accents of brass. 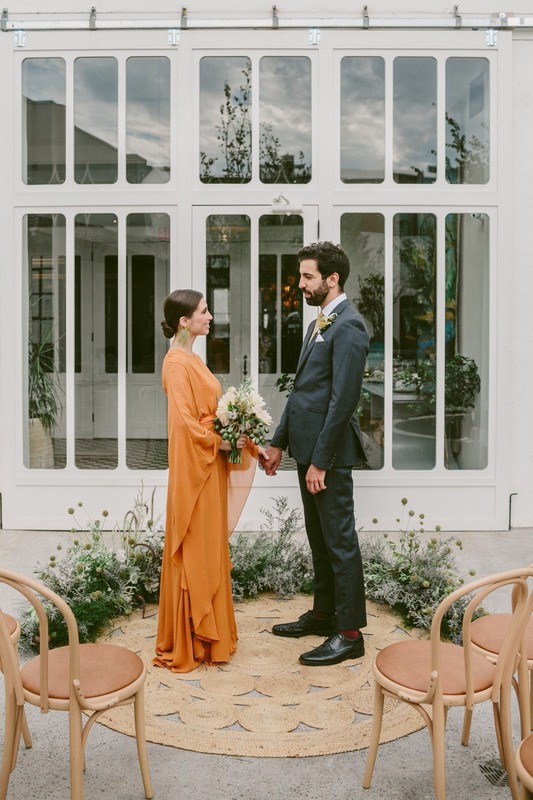 Out back, the immaculate white-walled patio provides a peaceful sanctuary that’s perfect for an intimate ceremony. 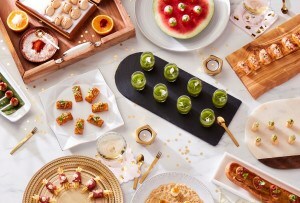 And with an impressive menu of intensely flavorful Middle Eastern fare and poetically crafted cocktails, you know that any party here is off to a fantastic start. 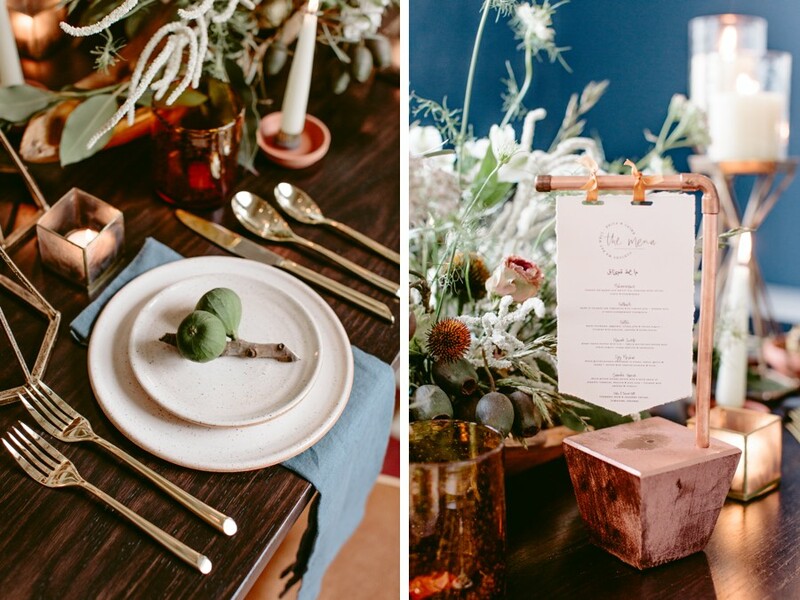 Brave Floral was inspired by venue’s deep, earthy pigments and wanted to make sure the bouquet and floral elements wouldn’t compete with the existing color palette. 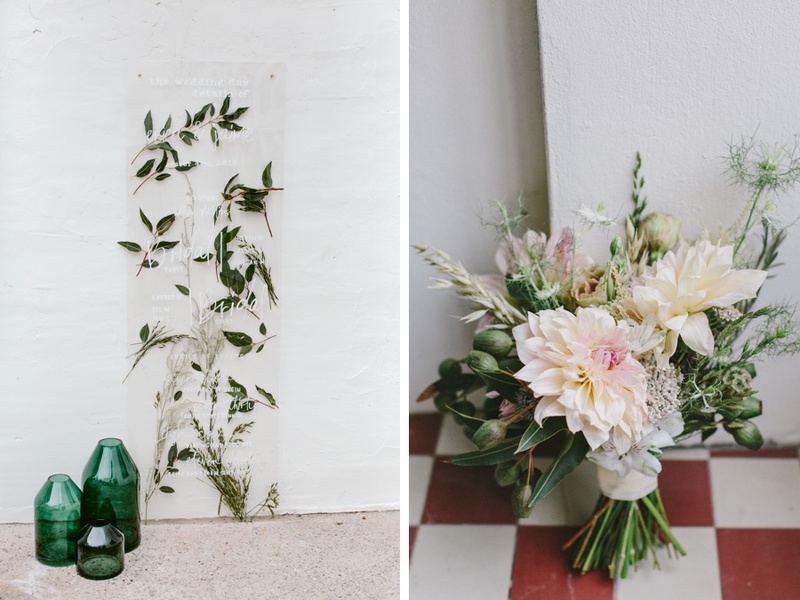 She designed gorgeous, neutral arrangements of soft grasses, textured nigella, and olive green eucalyptus pods with cafe au lait dahlias and rosanne brown lisianthus. 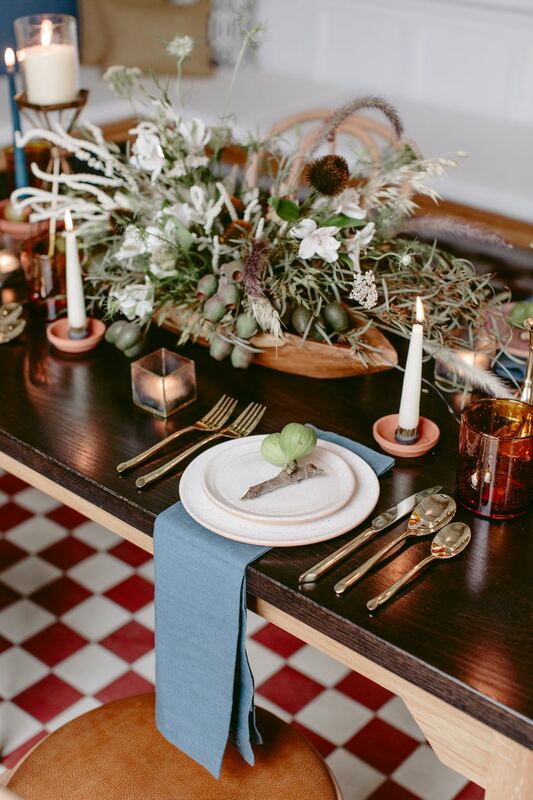 To complement the flowers, the table was set with speckled stoneware plates (sourced from Philly’s own Heypace Ceramics) atop slate blue linens. 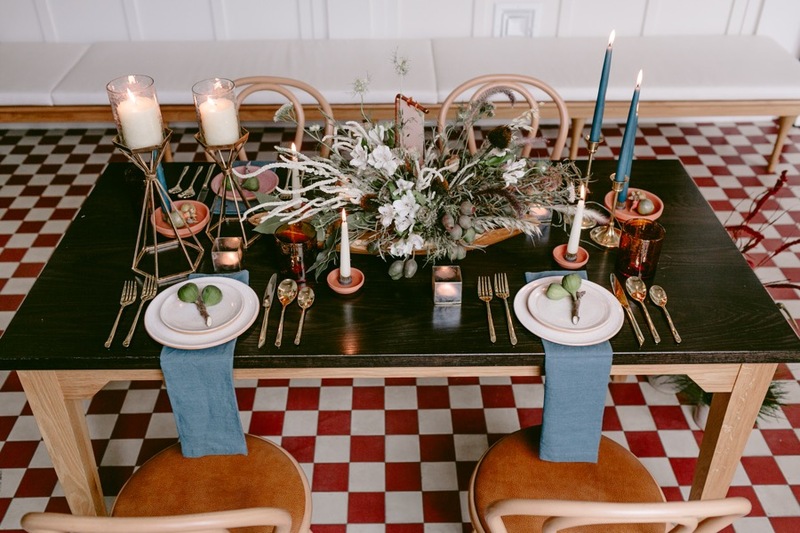 Taper candles in matching shades of blue and white were used along with gold flatware and amber glassware. 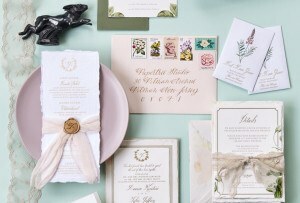 House of Catherine designed all of the paper goods and signage for the shoot. 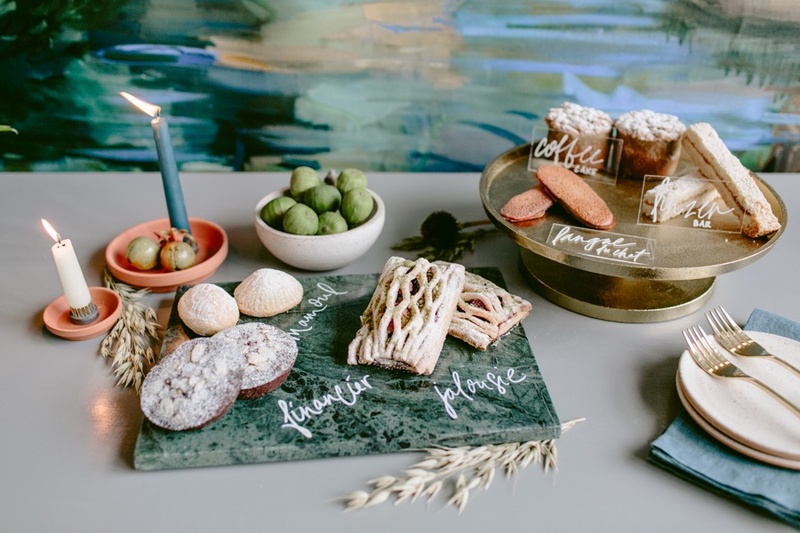 Inspired by the script font on the exterior of the restaurant, she created hand-lettered acrylic signage, a beautifully eclectic invitation suite, and food and drink menus. Our favorite element was the hanging deckle-edge banner menus built with copper pipe. 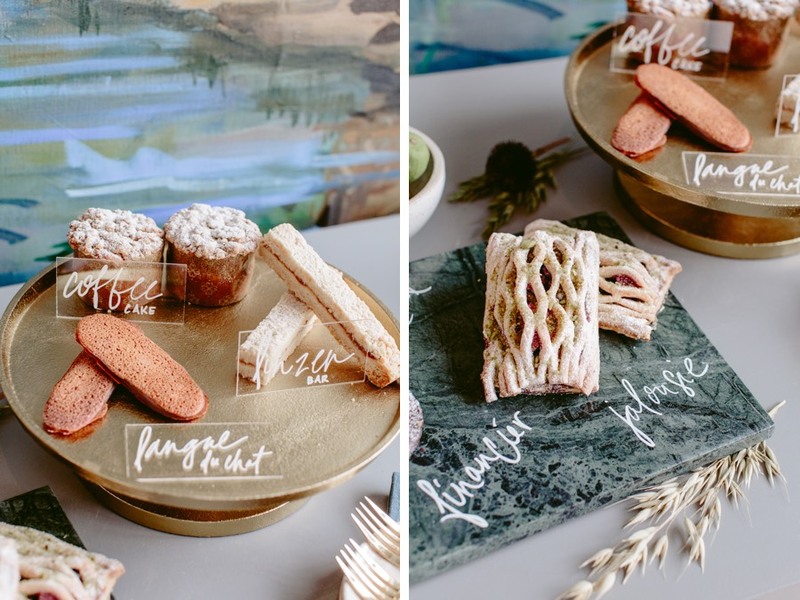 We loved this unique alternative to individual printed menus. 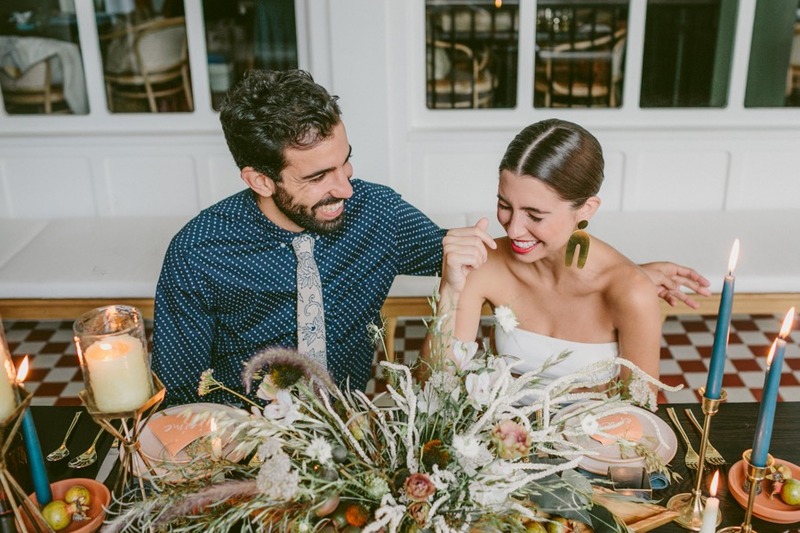 In the end we tried to show how, with a few curated details, a restaurant space can be easily transformed into a stylish and intimate wedding venue. 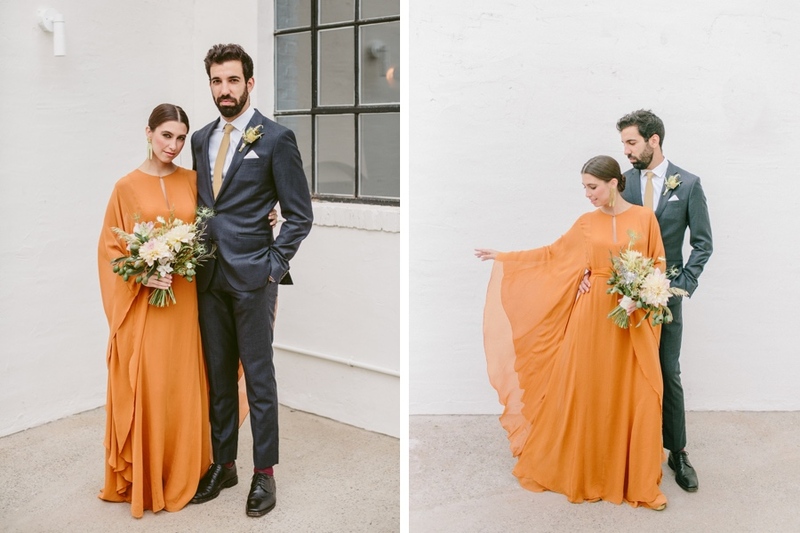 While we do still love a traditional wedding, we hope this shoot inspires future couples to explore some of the more avant-garde options right in their backyard.